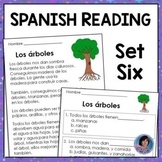 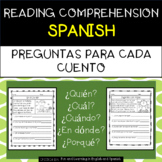 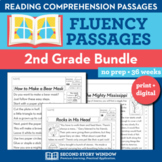 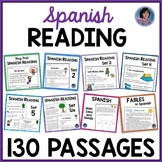 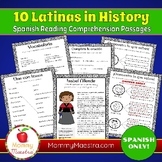 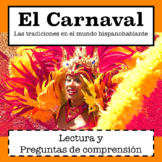 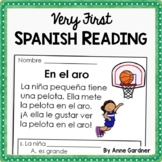 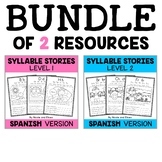 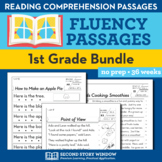 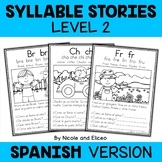 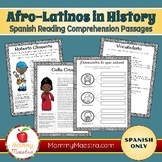 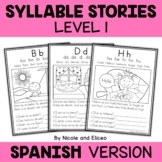 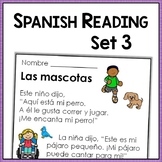 Spanish Reading Comprehension PassagesThis is the second set in a series of Spanish Reading Comprehension Passages designed to help students develop comprehension skills early in the process of learning to read Spanish. 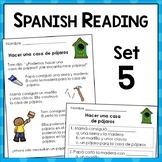 This packet includes 11 short reading passages with multiple choice questions. 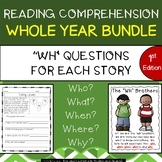 Have students read these simple passages and answer basic comprehension questions. 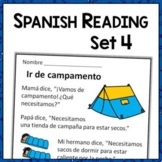 I used these to help students look back in the story to find the answer and write answers in complete questions.